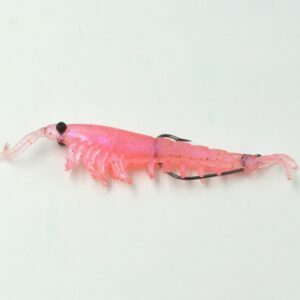 Nothing matches the “realness” of Nikko’s most popular baits: the okiami shrimp series. Looks, moves, feels and smells like the real thing. Bulging eyes fluoresce under UV. 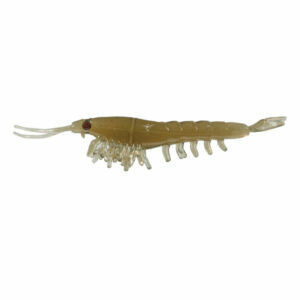 Nikko’s okiami shrimp are truly cross over baits; incredibly effective in both fresh & saltwater. Durable, super soft, floating material is scented throughout and will often last up to 100 catches each. Below is a common method for fishing in freshwater. Some customers will cut off the telsom (tip of tail) when pulling bait backwards through the water.